I am on a terrific Facebook page for Chevy Volt owners. The page has been an incredible resource for me, and the members there are great people. All of us on that page are passionate about our cars. Many on the page talk about the cars they traded in to buy a Volt. And when they do, it is usually a Toyota Prius or a Nissan Leaf. As I read articles about Telsa cars many of comments are vitriolic. Is it warranted against Tesla? The list of criticism leveled against Tesla cars is not without merit. Many owners report misaligned body panels. Trim pieces that don't line up. Rattles in the dashboard and in the interior. Problems with the 17 inch touch screen. In one case a yellow line going around screen itself. Electrical issues are also a problem for owners. After reading all of these problems owners have had I would wonder why anyone would want to own a Tesla. I am definitely opinionated when it comes to cars. I have had to rethink how my critical eye sees other brands. Tesla is not alone with vitriolic criticism. I have had to rethink my feelings on the Toyota Prius, Nissan Leaf and yes the Tesla. There is universal disdain for the Prius Prime's styling. The Nissan Leaf has poor quality batteries. The Tesla has misaligned trim, rattles and paint quality issues. I have tempered my feelings. I do think the Prius Prime is to wild in it's styling. I wish that automakers would not go so far with weird shapes, bulging taillights and trapezoid shapes. For me these are poor styling choices. The 1st generation Leaf also suffers from very strange styling. The Leaf's battery technology is lacking. Without a battery cooling system they are just another cell phone battery. 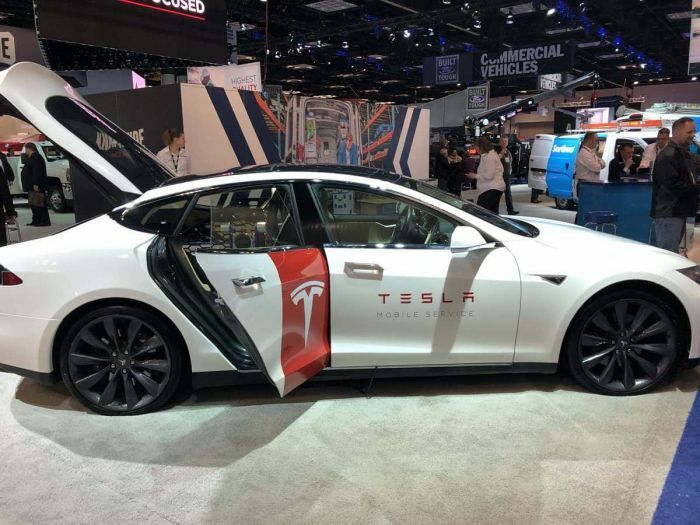 The Teslas Issues such as misaligned body panels, loose trim, complex door handles that don't work, would be unacceptable in a Mercedes or Cadillac. We all choose our sides. As owners of electric and hybrid cars we all have our reasons for our choices. Tesla owners are incredibly passionate about their cars. They are fast. Blisteringly so. Their styling is absolutely beautiful. They are extremely high tech. Owners see the value in ownership of a Tesla. And for Tesla owners the smaller quality issues are not a deal breaker. Toyota Prius owners love the cars quality. Toyota quality is second to none. Owners must know something we don't about the cars styling. Personally it has grown on me. The Prius prime gets excellent gas mileage and has plenty of electric range for many people. The Nissan Leaf has a loyal following. The car is very affordable. The range is perfect for a majority of owners. People enjoy the Leafs styling, driving performance and the fact that there are no tailpipe emissions. The new Leaf will have so much more to offer in terms of features. The car will prove to be a success. The Chevy Volt owners love the fact that their car does not look like a green car. It actually stands out in a good way. We love the range on electric power and the fact that it uses no gas when you mash the pedal. Just pure electric power. And the backup generator seals the deal. Having no range anxiety whatsoever is so freeing. This car has changed the way I drive. I have grown to appreciate my Volt's competition and I am excited about what the future holds for electric vehicles. With so many new electric cars coming to market in the next 2 years the future looks bright.